Who would have thought that the well-loved yet utterly evil villain Frieza from the Dragon Ball franchise would ever be described as sweet? But that’s exactly what he is—because he’s been turned into marshmallows! Character merchandise manufacturer Benelic came out last month with the “Dragon Ball Super Marshmallow Frieza“, an item that’s sure to delight Dragon Ball fans in need of a sugar boost. 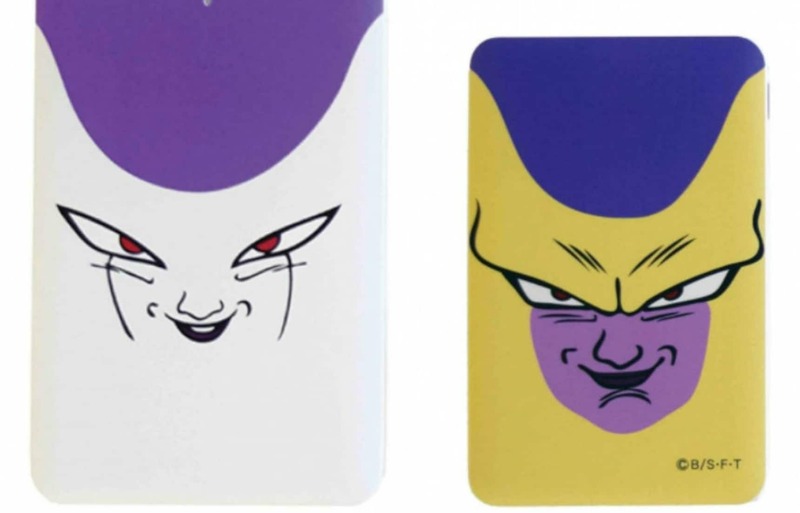 The package, priced at ¥500 (US$4.50), contains six marshmallows, with three different Frieza expressions printed on them. While Benelic mentions in their product description that “you may need a strong heart” to eat the marshmallows, we think they also look really cute, actually. 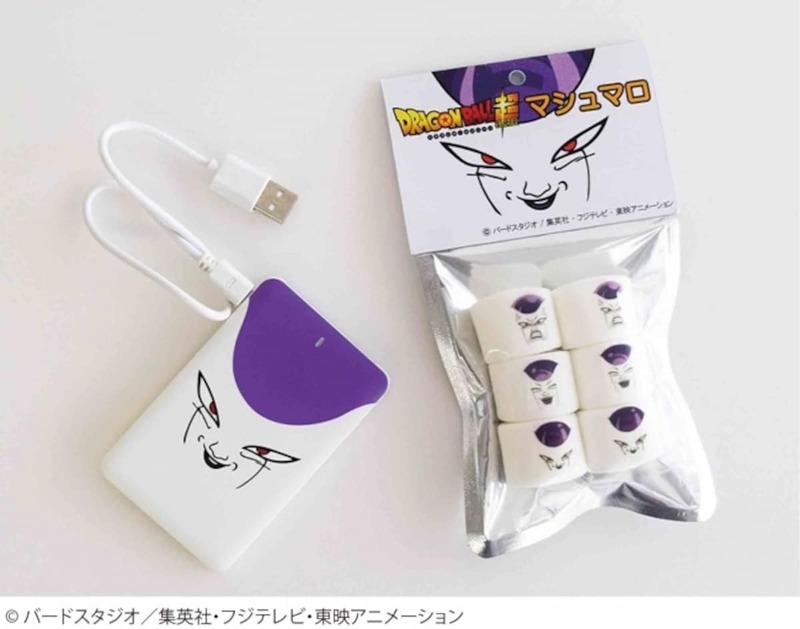 The marshmallows are available exclusively at Jump Shop locations across Japan, together with some other fun Dragon Ball gadgets, namely specially designed mobile battery chargers that were released along with the marshmallows. The sleek, card-shaped mobile battery chargers (known as Mobaca) are priced at ¥3,500 and come in three different designs. Not only are the chargers light and easy to carry around, they can be recharged for repeated use up to 500 times. and also the mark of the infamous Red Ribbon Army. The battery chargers certainly seem useful, but in the spirit of Dragon Ball, which started as a comical “gag” manga, we think the marshmallows look particularly delightful and fun. You do have to go to a Jump Shop to buy these items, and the marshmallows seem to be in high demand, as they are apparently out of stock at the Tokyo Station Jump Shop as of this writing, but if you can get your hands on them at one of the other Jump Shop locations, they should make a unique and inexpensive gift guaranteed to put a smile on any Dragon Ball fan’s face!